Two of the surviving Dambuster airmen have attended a ceremony after a flypast to mark the 70th anniversary of the World War II raid on German dams. 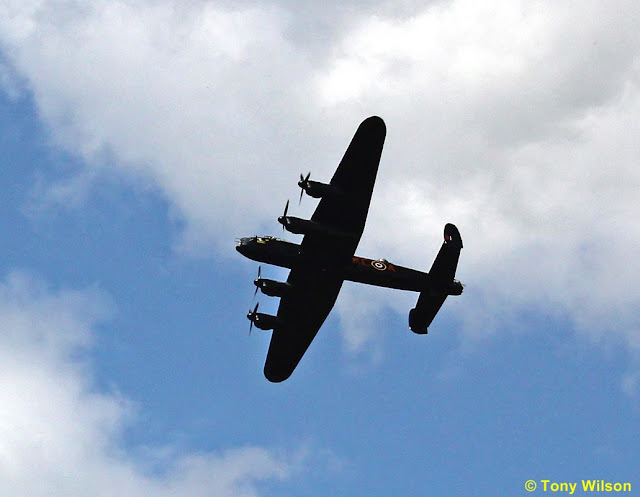 Hundreds of onlookers gathered as a Lancaster bomber flew over Derwent reservoir - one of the practice sites used ahead of the top-secret mission. More than a third of the men never returned from the raids, when they had to fly just 60ft above ground. RAF Scampton later hosted a sunset service. The RAF Battle of Britain Memorial Flight and 617 Squadron flew over the dam in Derbyshire's Hope Valley on Thursday lunchtime. The ceremony, service and second flypast at RAF Scampton in Lincolnshire where, 70 years ago, 19 Lancaster bombers took off for their daring mission. 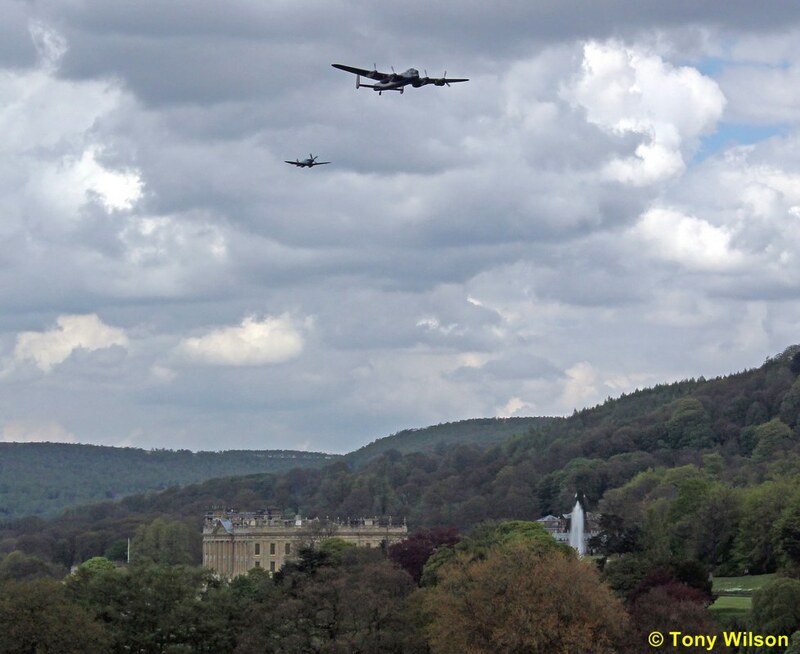 Some images below from Chatsworth taken by Tony Wilson. 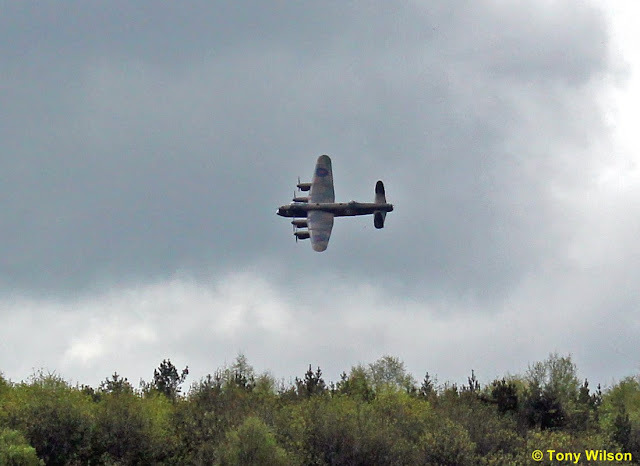 He was expecting the the aircraft to just run down the course of the Derwent, much to everybody's surprise (and there were thousands present), the Lancaster did three circles of the house and two runs past. The Spitfire did two passes and two Tornado's one flypast.